Little Tikes Easy Store Jr. Play Table with Umbrella Just $69! You are here: Home / Great Deals / Amazon Deals / Little Tikes Easy Store Jr. 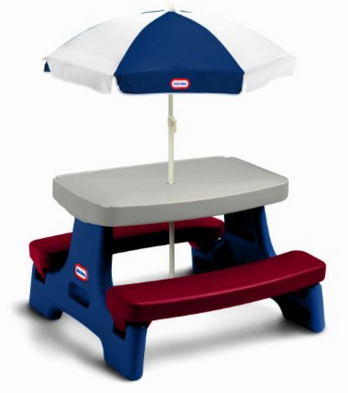 Play Table With Umbrella Just $69! Check out this deal on Amazon! Little Tikes Easy Store Jr. Play Table with Umbrella is just $69! Get yours now before it’s gone!